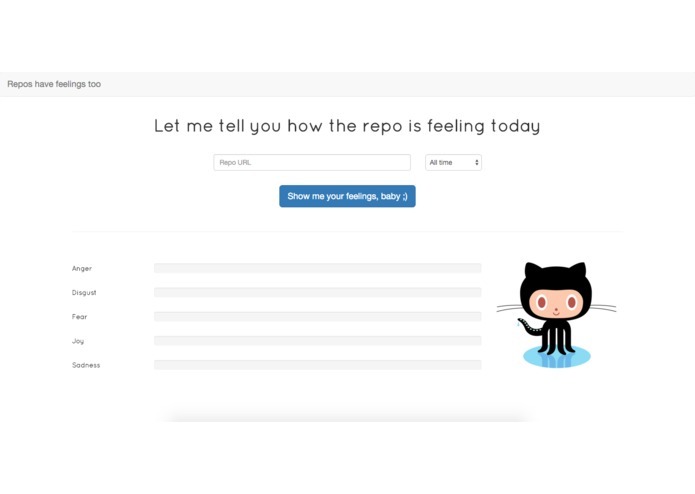 Have you ever wondered whether your repository is feeling sad, angry or joyful? 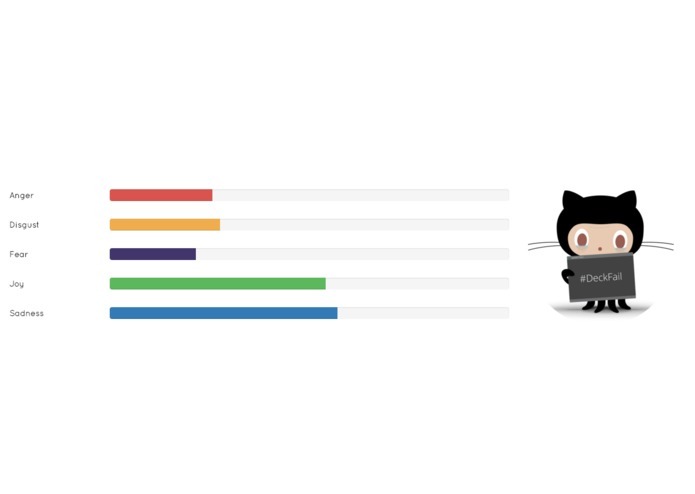 A good code always needs to be happy in order to run well, so the point of this project is to know which are the feelings of public repositories in github. 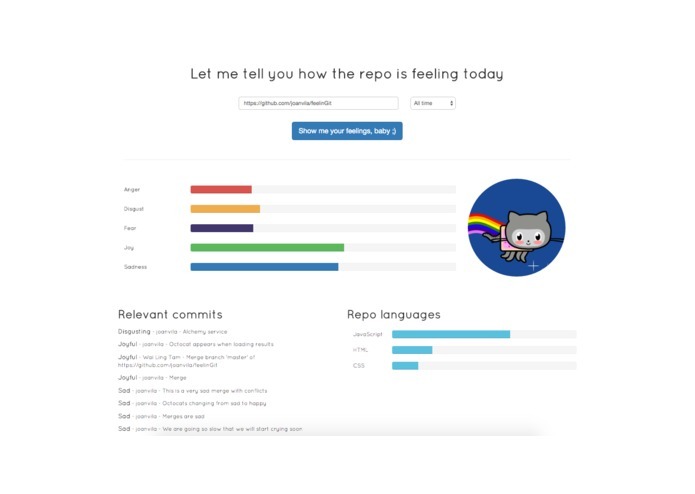 It analyzes the commit messages from a github public repository and evaluates the mood of the author who committed. There are five feelings in total and the score of each is presented. It also shows the commit messages with strong feelings and the contributor who wrote them. Lastly, the used languages and their amount of usage are displayed as well. The commits and languages are obtained from the github API, parsed and transferred to the Alchemy API from which we get how intense are the feelings of the commit. We've used AWS Elastic Compute Cloud (EC2) to deploy the application and domain.com to get the domain. Because of the limited requests to the Alchemy API, we had to test our app with repos with a low number of commits. 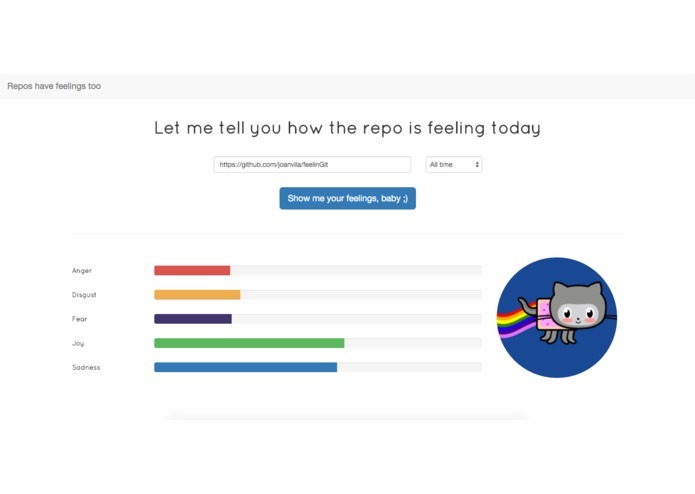 Building an app that evaluates the state of a repository in a fun way and let other developers discover what they were feeling while they were coding their awesome projects. 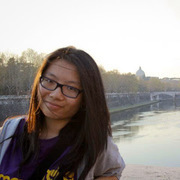 The web technologies we've used and the potential of the Alchemy API. Analyze the feelings that each language produces to programmers in order to help others choose between them when planning a new project. 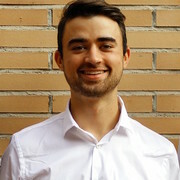 Computer engineering student at UPC and software developer at JoomlaThat!